Me, the open road, and lots of chocolate: That pretty much sums up the past week or so, as long as "lots of chocolate" also includes all the people who have been helping me eat it along the way. 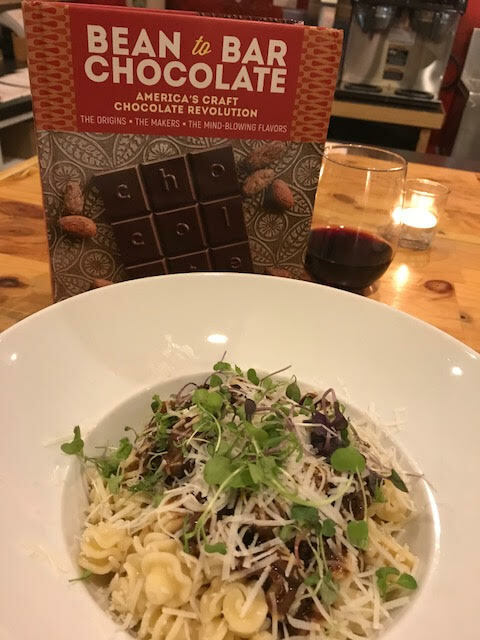 First I indulged in a three-course chocolate dinner in Richmond, Virginia, at Camden's Dogtown Market, co-hosted by Fountain Books: Think a chocolate and cheese course featuring Harper Macaw and Point Reyes blue cheese, pasta in a chocolate-lamb ragu, and a single-origin brownie trio (recipe from Dandelion, in the book!). Then I was off to Winston-Salem, North Carolina, for a chocolate and spirit pairing evening with Black Mountain Chocolate and Broad Branch Distilling, including tours of both factories. Next I visited Videri in Raleigh, North Carolina, for a quick tour and to sign some books (get your copies at their cafe! ), then moved on to Asheville. French Broad Chocolates rolled out the red carpet with me for a jumpin' open house at their factory with cupcakes, hot chocolate, savory treats from the Rhu, and guided chocolate tastings by yours truly. After that FBC and I walked over to Catawba Brewing for a night of chocolate and beer pairings, featuring their gorgeous bonbons. I capped off my tour of the South with a four-course chocolate dinner at Asheville's James Beard Award-winning restaurant Rhubarb, featuring French Broad Chocolates. We devoured rye bread made with cocoa nibs and 100% chocolate, smeared in cocoa nib butter; delectable cocoa-nib-crusted bison in a light but hearty mole sauce; and Nicaraguan chocolate budino under a shiitake mushroom cake with candied shiitakes and brown butter ice cream, to name a few dishes. Then I moved on to Colorado, where I popped in to 9News to hang out on Colorado and Company, the video you watched up at the top of the post. 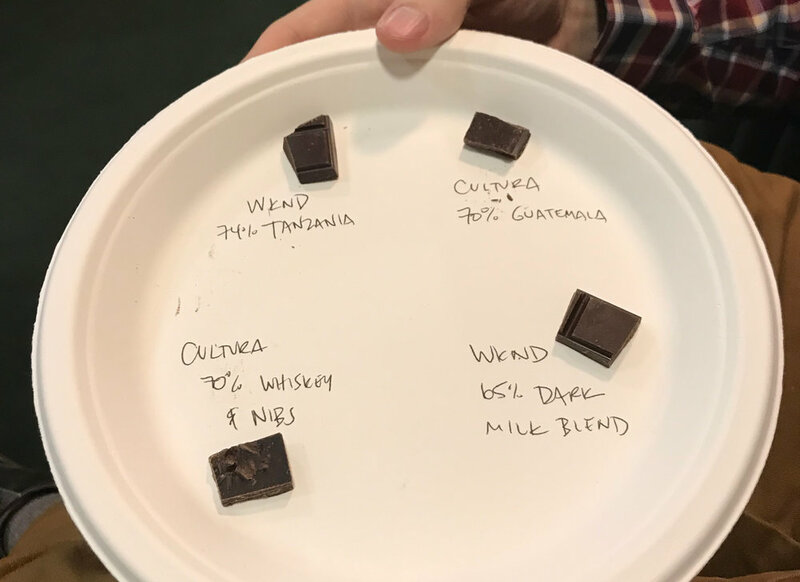 I had a great time with WKND Chocolate and Cultura Craft Chocolate at my talk and tasting at Tattered Cover in Denver, and a blast with Nuance Chocolate at Old Firehouse Books in Fort Collins. Now I'm in Seattle for an over-the-top chocolatey weekend, aka the Northwest Chocolate Festival and other fun plans in Emerald City. Then I'll be finishing up this leg of the tour in Portland. Here are some upcoming events!